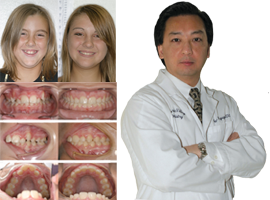 How does Individual Patient (IP) Orthodontics improve smiles? The IP Appliance® improves upon traditional braces, moving away from a “one size fits all” approach to a precise customization based on each patient. Your braces and wires are precisely customized to provide your unique and optimal treatment. This customization improves treatment speed, clinical effectiveness, practicality, and retention. Will my insurance cover IP Orthodontics? IP Orthodontics is covered by dental insurance companies the same way that traditional braces are. Since insurance policies vary drastically between carriers and plans, you should review your plan and talk to your dentist. Is IP Orthodontics more expensive than traditional braces? Treatment fees are usually similar to that of wearing traditional braces. Since the cost of getting orthodontics differs significantly by case (based on severity, time in braces, city, and other factors), please ask your doctor for an accurate cost for your specific treatment. In some countries, cheap, flimsy brackets are common and may cause short and long term dental problems. IP Appliance® braces are made of high quality, durable, thoroughly tested materials, and customized to each patient. Treatment with the IP Appliance® has been shown to be at least 6 months faster than the current straight archwire appliance treatment. From studying tens of thousands of cases, typical treatment times have shown to be 40% less than those of traditional braces. Treatment time varies significantly by severity, age, compliance to wearing prescribed appliances and anatomy, and can be best predicted by consulting with your dentist. Progressive Dental Supply, the company that designs and customizes the IP Appliance®, was founded in 1985. Dr. Donald McGann released the IP Appliance® in 2003. Do all dentists offer IP Orthodontics? No. Dentists who provide IP Orthodontics need to use advanced orthodontic tools to provide you with a computer-customized treatment. IP dentists have trained extensively to diagnose each detail so your customized appliances anticipate your teeth’s movements before treatment even starts. IP dentists train at Progressive Orthodontic Seminars in the most comprehensive and best networked orthodontic continuing education program in the industry worldwide. Graduates have learned to use computerized orthodontics to provide you the most effective and detailed diagnosis and treatment. Contact us to find an IP dentist in your area. Will getting IP Orthodontics be painful? Like with any type of orthodontic treatment, you can expect to experience some discomfort, especially in the beginning of your treatment. This is a sign that your teeth are moving toward a better smile. Since your braces and wires are customized to you and help your teeth move, you have less wire changes, pain and irritation. With flexible nickel-titanium archwires, there will be light, continual forces helping your teeth move at the most biologically ideal pace, to be most effective and reduce discomfort. Most people experience very little to little discomfort. However, if you have discomfort for over 2 weeks, please talk with your dentist as he/she often has solutions to make your braces more comfortable. Can I get IP Orthodontics if I have periodontal conditions, implants, dentures, TMJ, gummy smiles, lip incompetency or other dental issues? Orthodontics can help you in more than just straightening your teeth. It is possible to treat patients with periodontal bone loss, those who have implant needs or joint pain, and many other dental issues. Orthodontics can often even help these problems. For example, the more periodontal problems a patient has, the more likely they need orthodontic treatment as part of their comprehensive dental treatment. Orthodontics, when done properly, will improve the periodontal condition, joint function, and dentition of the patient. Your dentist will be able to look at your specific limitations and goals, to advise you further. How much time does it take to straighten teeth? The fastest and most complete straightening of your teeth is obtained by using brackets specific for the rotation of each tooth and archwires specific to your bone structure. This can be found in the IP Appliance®. Although each tooth is rotated a different amount and each patient has different biology, your teeth will be visually straight in 2-6 months. Why wear braces after the teeth are visually straight? Improve retention of the new tooth positions. 6 months is needed to allow the bone and soft tissues to reorganize around the new tooth position. How do I get started with IP Orthodontics? Schedule an appointment and speak with your dentist about Individual Patient Orthodontics. Some dentists offer free or reasonably priced orthodontic evaluations. They can consult with you on your goals and limitations, take records to analyze your relevant anatomical structures and help you get a healthier, beautiful smile that you can be proud of.